Paramount Pictures has officially announced a release date for the sequel to A Quiet Place. Although producer Andrew Form has said that they are in no rush to complete the film, the May 15, 2020 release date shows confidence in a possible script already agreed upon. Since the first picture was such an immense success coming in at a whopping $332 million worldwide with a minuscule budget of only $17 million, Paramount is likely to treat the sequel as exceptionally special as the first. A Quiet Place was also unique in regards to casting. John Krasinski not only directed the film but he also starred alongside his real-life wife Emily Blunt. The two created such an emotional core for the film that audiences were captivated by the narrative as well as its blind space invaders. Scripted by Bryan Woods and Scott Beck, Krasinski created a film that was intense for viewers to watch with all of the senses. Krasinski played with the spaces in between sound so well that the building tension did not come from musical cues, as is the case in other horror flicks, but rather the moving responses of the characters. Although it is uncertain whether Krasinski will be starring and/or directing the sequel yet, Form has confirmed that he will definitely be involved, according to Collider. Form feels that A Quiet Place was lucky to have Krasinski and the sequel would fail without him. Questions as to whether the sequel will include the original characters or not still remain a mystery, but the newest addition to this franchise will certainly further explore the universe in which the survivors reside in. 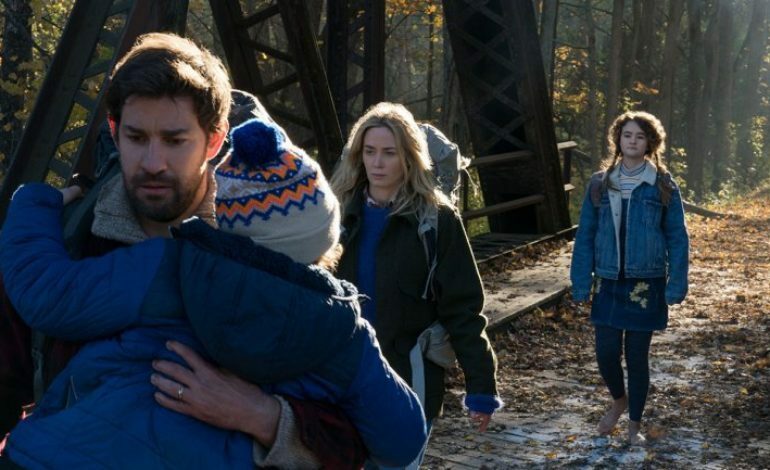 With the summer release rivaling many big titles in 2020, Paramount has established their assurance that A Quiet Place 2 will be a blockbuster. Many fans will be running to theaters on May 15 to experience this thriller.